Local theatre company presents comedic play "Noises Off"
Called the funniest farce ever written, “Noises Off” presents a manic menagerie as a cast of itinerant actors rehearsing a flop called “Nothing's On.” Doors slamming, on and offstage intrigue, and an errant herring all figure in the plot of this hilarious and classically comic play. Tickets are available at the door and online. 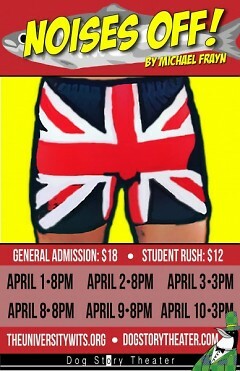 Prices range between $12 (Students & Seniors) and $18 (General Admission). Additional ticket information at theuniversitywits.org. The University Wits are a Grand Rapids theatre company in their fourth season and are recognized for excellence in theatrical design. They are best known for creating original works as well as producing published classics. 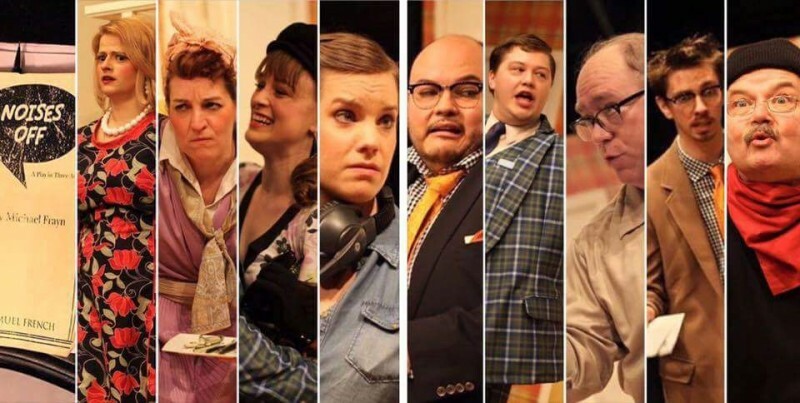 Their upcoming production “Noises Off” was first seen on the stage in 1982 by English playwright Michael Frayn. 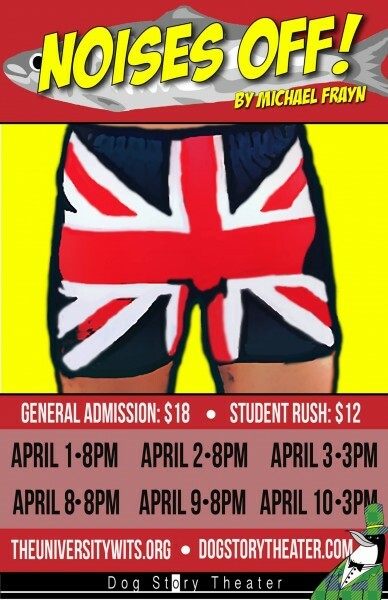 Performances will be April 1, 2, 8, 9, 2016 at 8 p.m. and April 3 and 10 at 3 p.m. at Dog Story Theater on 7 Jefferson Ave.
“Our set is composed of seven doors on multiple levels and the entire set is on wheels so it can be turned around to watch the performance from backstage in the second act” continues Fortenbacher. The cast includes: Claire Mahave as Dotty Otley, Anessa “Anna” Johnson as Brooke Ashton, Ashley F. Viersen as Belinda Blaire, Kristin Tomlin as Poppy Norton-Taylor, Patrick Hendren as Lloyd Dallas, Matt Hartmann as Garry Lejeune, Michael Duane Pollock as Fredrick Fellows, Mark Moran as Selsdon Mowbray, and J.J. Lindke as Tim Allgood. Follow The University Wits on Facebook.